Our twenty seventh annual dinner will be held on Friday 23 November in the heart of Bloomsbury. 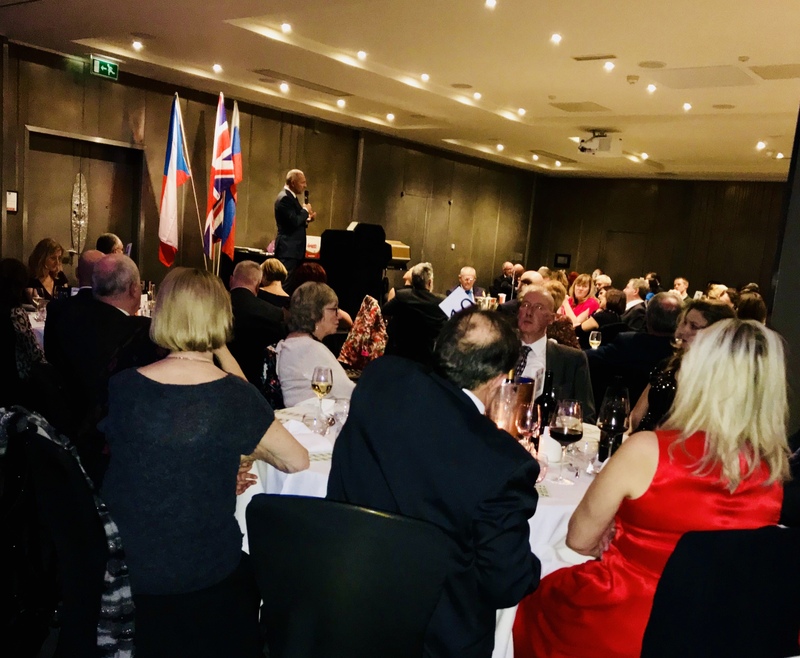 This highlight in the BCSA calendar is a wonderful opportunity for Slovaks, Czechs and Britons to mingle in a convivial atmosphere, to meet old friends and make new ones. Members and non-members alike will be made welcome at a drinks reception including Czech Budweiser Budvar lager, enjoy a three-course dinner with wine, hear our speaker and the results of our annual writing competition. The raffle features a number of very desirable prizes including flights to Poprad with a three-night stay for two in Aqua City Resort, close to the beautiful Tatra Mountains or a Danubius Hotels ‘Taste of Piestany’ relaxing stay for three nights. For visitors to Prague, win two-nights’ accommodation at the Cloister Inn or tickets for a performance by the Prague Shakespeare Company. Continuing on from last year’s auction of Banksy street art, there will be an opportunity to bid for a limited edition print of contemporary artwork by the Connor Brothers.